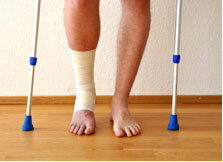 At Bellotti Law Group, P.C., our attorneys represent clients in any type of injury matter. No matter what caused your injury, we have the experience and legal acumen required to give you the edge you need when seeking compensation from negligent parties. We have achieved many successful results for thousands of clients since our firm opened in 1989. Today, we draw on the knowledge and skills gained during that time to help injured clients throughout the Boston, Massachusetts, area. Matters involving abuse, domestic violence and sexual assault involve not only the criminal justice system, but also civil courts. We offer compassionate representation to victims of assault and abuse throughout the Boston area. Be aware that there are statutes of limitation that can forever bar you from bringing a claim if you do not do so within the appropriate timeframe. Contact us today at 617-225-2100 to arrange a free consultation and discuss other accidents and causes of injuries in Boston.